Sick of having Internet Explorer pop up when you really wanted another browser, like Chrome, Firefox or Safari? I know the feeling. 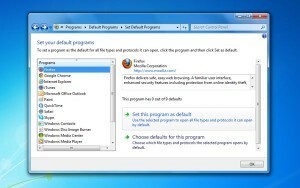 Both Windows and Mac systems will open a specific, so-called “default” web browser whenever you click a link in your email client or another, non-browser program. For a fresh-out-of-the-box Windows PC, the default browser will invariably be Microsoft’s own Internet Explorer, while Apple’s Safari browser is the default browser for new Mac systems. 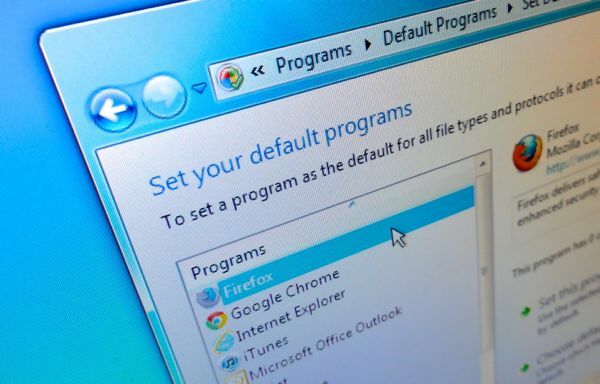 Of course, any time you open a different browser, like Google Chrome or Firefox, they’ll tempt you with the prospect of making them your default browser—and eventually, you may lose track of which browser is the default at a given moment. If only there were a single, centralized place on PCs and Macs where you could set your default web browser once and for all, right? A window will appear with a big list of programs that you can set as the “default” for various functions, from email and photo viewers to MP3 players and (yes) web browsers. All the web browsers installed on your PC will be at the top of the list; go ahead and click your favorite one. Click the “OK” button. That’s it! Want to pick a new default browser on your Mac? You’ll find the controls in Safari’s preferences menu. Open the Safari web browser, click the Safari menu at the top of the screen, then select Preferences. Close the Preferences menu. All done!